Approximately 25mi. in length, the combination of these trails makes for a great full day mountain bike ride for most people. This ride is strenuous because of its length and only moderately technical. Most people have a new found love for the desert landscape after this ride as the views are tremendous and the riding is miles and miles of sculpted singletrack. All of the benefits of the JEM trail and then some in a longer more demanding version. The Hurricane Rim Trail has awesome plate rock riding that requires intermediate bike handling skills to negotiate. We can work on the skills necessary as we go. This trail also serves up a healthy dose of elevation gain and loss with zippy singletrack downhill sections, and uphill to match. The Goulds Rim Trail is a desert sagebrush lined rim that heads deep into the outback to connect the Hurricane and Jem Trails. A truly awesome desert singletrack experience. Vast vistas towards Zion National Park line the horizon for much of this trip. There are serious and potentially deadly drop-offs that line the end of this trail. 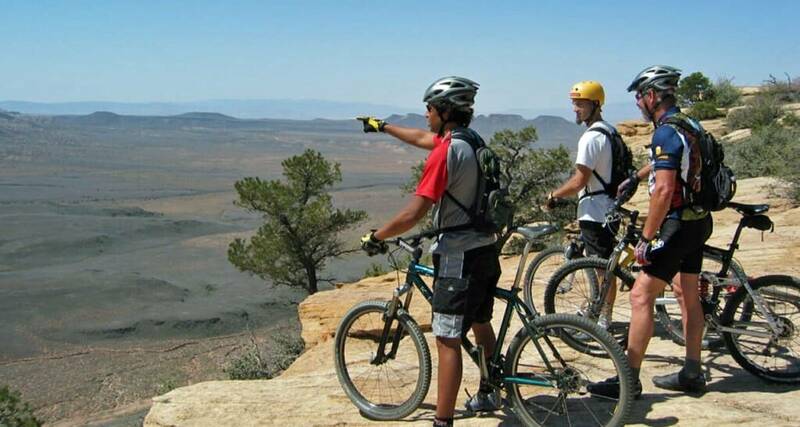 Your guide will assess the groups riding abilities and has the right to either have folks walk their bikes or circumnavigate the potentially dangerous sections of the ride. There are some nice swimming holes at the end of this ride. A benefit of driving your own car is that you can enjoy the river at the end of the ride. Our trips are set up as privately guided trips. This means that you will not be stuck with others who might impact your experience adversely. Please let us know if you would like the option of an open group trip to save money. There are a few riding options to make this ride easy or harder. We can also shorten the ride and make it easier by doing this as a one way primarily downhill ride. All riders can benefit from proper body mechanics, weight distribution, and braking techniques. 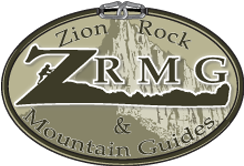 Our guides are well versed in all riding techniques and can assist with increasing your skill level.